Advise the clients which system may best serve the physical requirements of the project and produce the most cost effective solution. Provide cost data and assist the client in preparing a budget for the project. Work with the client to produce project schedules and determine the manpower needs to meet them. Responsible for timely performance within budget parameters. Continually available to serve the needs of the project. Prepare and assist in evaluating alternative designs. Organize and supervise the preparation of schematic, preliminary and contract drawings. Supervise the checking of shop drawings and inspection in the field. Maintain liaison with the client, construction manager and other consultants and attend all project meetings. Monitor both project schedule and budget and appraise the principal in charge of any developments that impact on either schedule or cost. Assist the associate in all the above and maintain project continuity, when the associate is involved in job meetings with the client or other consultants. Prepare necessary calculations and designs, check shop drawings and make field inspections. 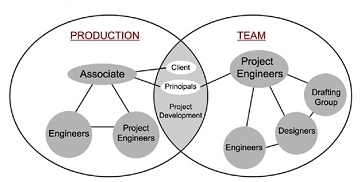 Work with supporting consultants to technical project requirements. Make all necessary schematic, preliminary and final contract drawings under the supervision of the engineers. Each Project becomes the direct responsibilty of a principal. The project is supervised by an associate. Assisting the associate, and also members of the project team, is a project engineer, design engineers and the drafting group. Continuity of service to the project from start to completion is maintained by the principal and associate. Through organization, cooperation and enthusiasm, our entire firms experience is applied to each project. One of the major factors leading to a successful project is the careful coordination of details of the electro-mechanical installation with architectural, Structural requirements. Crown Home prides itself on its frequent coordination sessions - made all the more easy as the related departments are integrated to the consultancy. Carrying out a Field Investigation to assess local conditions and to determine the local availability of equipment, materials and organizations for service and maintenance. Preparation of a Preliminary Report, to include estimates of basic requirements and the choice of systems concepts. 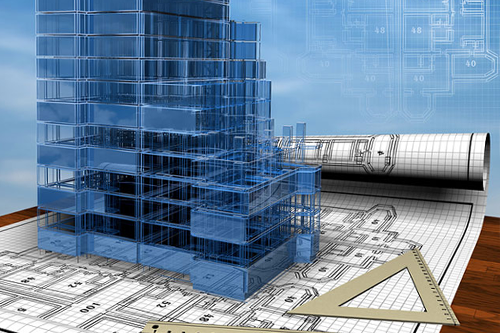 Preparation of a Final Designs and Tender Documents 2 including construction drawings, technical specifications, bill of quantities and cost estimates then, subsequently, Tender Evaluations. During construction the Project team remains responsible for the approval of the contractor's shop drawings, equipment selection, and general follow-up on the Z construction site until commissioning and handing over.